Our mission is simple: to provide the best products and service to our customers at the lowest prices possible. 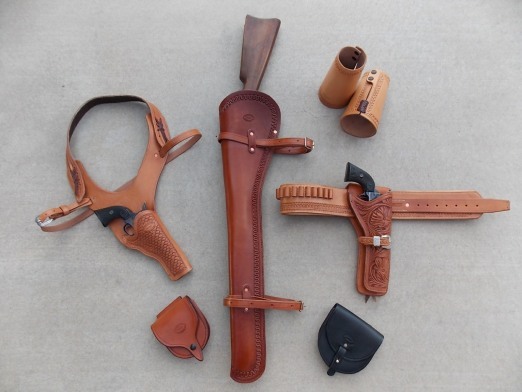 We build authentic reproductions of Old West style holsters, cartridge belts, shooting pouches, chinks, chaps and all manner of cowboy gear and gun leather. We take great pride in our company, our commitment to customer service and in the products we sell. We refuse to compromise on our materials or our craftsmanship. Our online store is designed to provide you with a safe and secure environment to browse our product catalog. Each sample that you see here has been handmade by John Costanza with American tanned leather from Hermann Oak and Wickett & Craig tanneries. Each product has been made with the utmost care to maintain the integrity of the style without sacrificing durability. Pictured here is a sample of the gear that we produce. We think you'll agree that we offer an unlimited variety of stamp patterns and styles to choose from and have included a sample of some of the stamp patterns we offer. We continually add new samples of our work to this web site. The combination of experience, skill, the right tools and a good eye for design make Western Star Leather products outstanding. 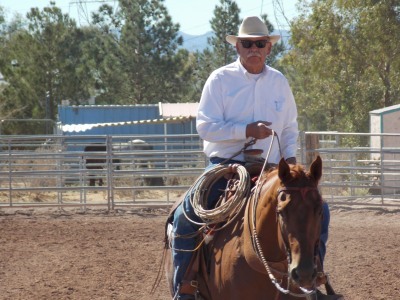 We believe we manufacture the best all around products for the cowboy and shooter available anywhere and invite you to give them a try.